I am continually awed by the dedication and commitment of our amazing Greater MetroWest community leaders. I am proud to share with you the following letter to Isaac Herzog, the newly elected chairman of the Jewish Agency for Israel, penned by our own Lori Klinghoffer, a former president of our Federation and a long-serving Board member of the Jewish Agency. First, I’d like to introduce myself. My name is Lori Klinghoffer and I’ve served on the Board of Governors for the past 9+ years. Currently I co-chair Partnerships and the Partnerships Global Council. 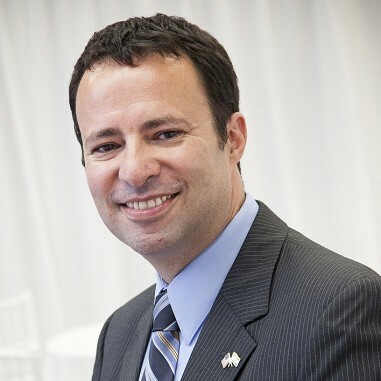 It’s an honor and a privilege for me to serve representing the Jewish Federation of Greater MetroWest, NJ and I look forward to seeing you at our meetings in October. I also wanted to take this opportunity to thank you and our other BOG professional and lay leadership for showing such strong support to our partners in the Druze community by inviting Sheikh Mowafaq Tarif to address us at our upcoming meetings. Indeed, this is a very important and timely statement, especially considering the recent Nation-State legislation. 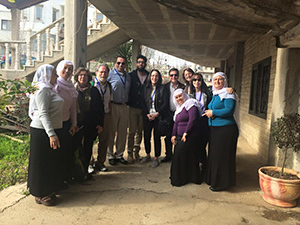 In light of this impactful invitation, I wanted to highlight the unique partnership we in Greater MetroWest have developed with the Druze village of Horfesh in the upper Galilee which began during the second Lebanese war. Immediately after the war, through the Jewish Agency and a generous private donation, we helped build an emergency situation room in the village. However, funding to meet their security needs was only the beginning of an amazing relationship which has blossomed over the past 10+ years and continues to grow. We were the first Diaspora community to help launch Youth Futures in Horfesh and we continue to allocate funds year in and year out to support this important program. During the war and thereafter, we visited the village multiple times, fell in love with the Druze community, their fascinating traditions, culture and heritage. These personal connections provided us with an educational engagement tool to educate our community about the diversity of Israel, highlighting the need for a shared and cohesive society. Over the years, Horfesh has become an important component of our Israel partnership communities’ network and, as far as we know, it is the only non-Jewish partnership that a Jewish Federation maintains. We have connected our long-time Project Renewal Community Center of Ramat Eliyahu in Rishon Lezion to the Matnas of Horfesh. As a result, the two communities have developed many opportunities to interface, including exchanges and living bridges. Some examples include the women working together picking olives in Horfesh and lighting Hanukkah candles together in Ramat Eliyahu. A dance exchange program for the young people of both communities, Hora and Debkah, is another example of the type of opportunities that have evolved. During my first visit to Horfesh, we met with a group of women there who were part of an empowerment program. We know them as the Lace Makers. At the time, all were very subdued and barely raised their heads to acknowledge us or make eye contact. We were incredibly moved by this experience and so began our support of this initiative. Now, we see proud women who, through their craft, have come into their own. This past Spring, we hosted a delegation of 20 women and their husbands (or chaperones) in Greater MetroWest for the first time ever. During this historic visit they enjoyed home hospitality, participated in food and cultural workshops, met with NJ Governor Phil Murphy, and most importantly, created a lifelong bond between our New Jersey hosts and our Druze guests. I’d like to share one more emotional moment in our relationship with Horfesh. Raya is a woman who participated in one of our shared society programs, Achi Israeli. Just a few days after the program was launched, Raya’s brother, Kamil Shanan, was killed while serving as a police officer on the Temple Mount. We brought the group to visit the mourning family and heard words of wisdom and tolerance from Shakib Shanan. Our program has now been named after Kamil. The second cohort will launch in the coming days. I highlight this very special relationship between Greater MetroWest and Horfesh because it touches so many of us to the core, enhancing our understanding of the diverse mosaic that defines Israel. Perhaps our personal experiences with this Druze community can be an example for our entire Board which could be incorporated into our October meetings. Again, I look forward to meeting you in October and to my continued Jewish Agency involvement under your leadership.